And if you’re in the chair, there are ways to help the barber out to make sure you get the men’s haircut you want. Start by having an idea of the look you’d like and make sure to book your next appointment out a bit so you always look sharp. Even if you don’t know exactly what you want, you should at least have an idea of the cut and style that’s a fit for you. Especially if you’re ready to change things up, take a look at men’s hairstyle galleries online or check out the styles of celebrities and choose a one that you like. Be realistic, though, and pick styles on models that have similar facial features and hair type. Take a screenshot of the style and bring it with you. The better and more pictures of the cut you provide the barber, the better he or she will be able to meet your expectations. Your barber or stylist can use what you provide as a starting point to create a haircut that has a similar look but is shaped in a way that works well for your face, lifestyle, and profession. Don’t be afraid to ask if the person who cuts your hair has ideas of their own. Remember your barber is trained to give you the most flattering haircut possible. After all, you are a walking billboard for their business. While your customer spends time picking the photo of his ideal style, you should get to know your customer. What type of hair does he have? What did you do last time and was he satisfied? Take notes after every visit and look back before his arrival for his next appointment. Let’s say you remember that he’s always talked about doing a pomade. Mention it. Maybe today is the day! Especially during the holidays, your barber is going to be busy from the first appointment until the last. Book your next appointment when you settle up. And as much as you may want to fit your cut into your day, consider your barber’s as well. Do you really want to be the last appointment of his busy day when he’s exhausted and not at his best? Also make sure to respect your barber’s time. Show up five or ten minutes early and always let your barber know if you’re running late. You want to see as many customers as possible, but you also don’t want any of them to feel rushed. Allow enough time for each service you provide, always considering the individual client. Some just take longer than others. Leave a little time between appointments if you can to prep for the next. And give yourself adequate time to eat and take a break or two. You can’t be at your best if you’re running on empty and are frazzled and tired. Even if you don’t want to mess with your barber’s good work, you’ll probably still need to maintain it. Keep a small electric razor on hand so you can clean up around the edges of your hairline between visits. Using an electric razor for maintenance will save you money and time. Is your workspace tidy? Are your tools properly maintained and sanitized? 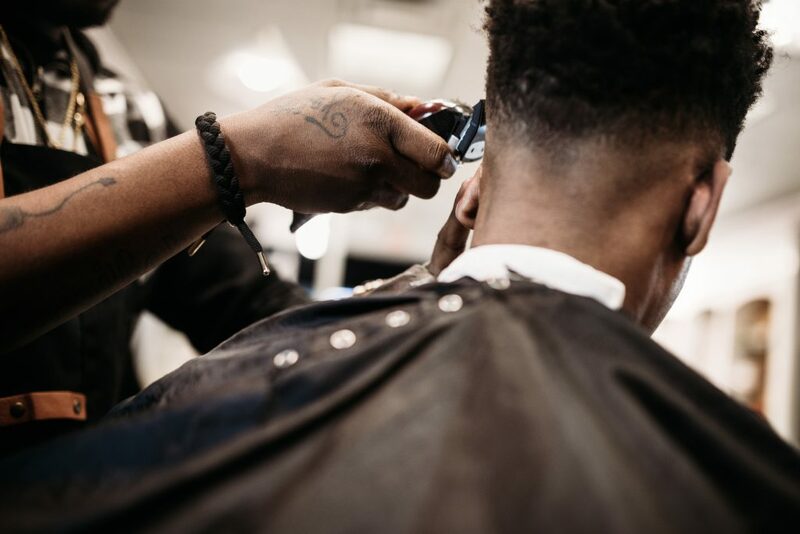 You already know from your barbering licensing exam that it’s essential that you follow your state’s guidelines for cleanliness, but your customers will also notice how well-maintained your space is. If you’re proud of what you do, show it off with how you keep everything that you offer to clients. Just like your customer want to keep up their appearance, you need to maintain your working environment to keep your standards tip-top. If you’ve ever considered a career as a Barber, there’s a lot to learn besides how to give a great men’s haircut. Schedule a school tour to check out the Salon Success Academy Barbering Program today. We offer Barbering at our Riverside, Upland, and West Covina campuses. Fill out the form to get started now.